The most fulfilling part of the holiday season is spending quality time with loved ones. When spending time with your parents and grandparents, especially those over the age of 65, pay attention to any behavior that is out of the ordinary. These 10 symptoms could be indications of the onset of dementia. Some people have always been a bit forgetful. 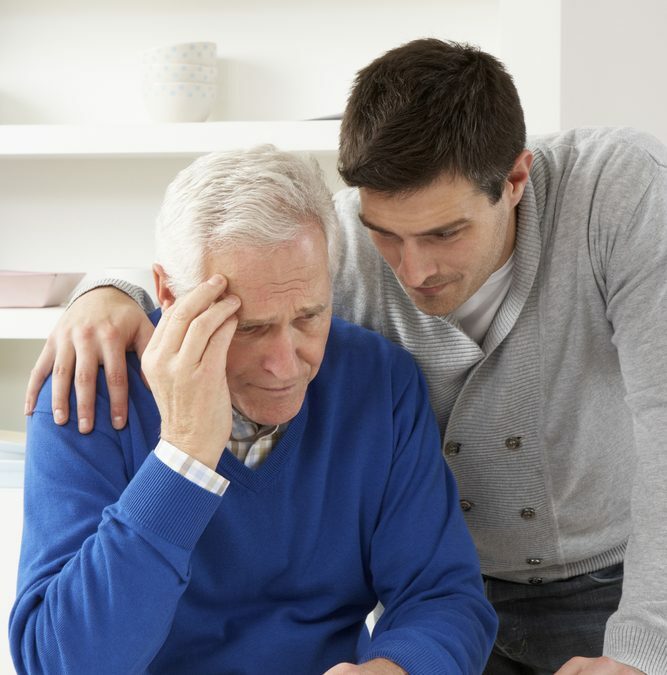 However, if you notice a loved one forgetting important events that they were looking forward to, or birthdays that they’ve always remembered in the past, this could be one of the early signs of dementia. Losing the ability to problem solve is another indication of the onset of dementia. If your family member always paid bills but suddenly has lost the ability to keep track of bills and pay them correctly, this is a cause for concern. Is your relative having a difficult time recognizing the day of the week or perceiving the passage of time? Date and time confusion are usually signs and symptoms of the early onset of dementia. If your family member does crossword puzzles every morning and makes a pot of coffee, but suddenly seems unable to complete these day to day tasks, this could be a warning sign. Pro Tip: Did you know? A group of symptoms that represent risk factors for people with dementia is having difficulties with normal, familiar tasks. Memory loss is also common in dementia patients. Pay attention to where your family member is setting their keys, wallet, and phone. Take note if they’re constantly forgetting the whereabouts of these common items. Does your family member love to read or write? Have they suddenly strayed from reading their favorite novels and magazines, or writing their grocery list? Pay close attention to their ability to read and correctly form sentences. Unbrushed hair, dirty clothes, and a general messy appearance are another cause of concern, especially if your relative typically puts effort into their appearance. Is your loved one avoiding social activities? Do they act like they don’t want to be bothered? This could be an indication, particularly if they were previously involved with social engagements. Excessive spending on unnecessary items can be a sign of dementia, too. If you’ve noticed any of the above signs and feel concerned, consider checking receipts and bank accounts. Have you seen any significant personality changes? Pay attention to unwarranted emotions. If your loved one is suffering from 1 or more of the above symptoms, it’s possible that they could be experiencing an onset of dementia. While they may no longer thrive in their own home, assisted living cottages with live-in direct care providers will afford them a cozy home-like environment with the specialty care they need. Have you noticed a loved one going through any of the above symptoms? Join the conversation to discuss the next steps in dementia treatment.